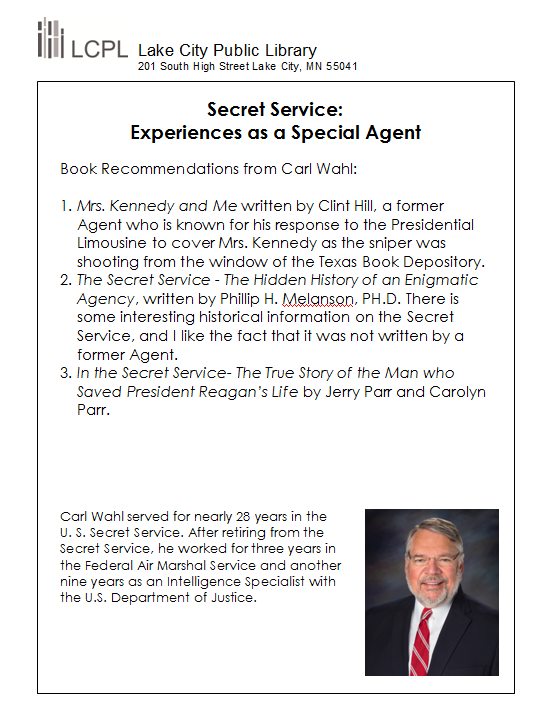 Check out these book recommendations from one of our recent speakers, Carl Wahl. Wahl was with the Secret Service for more than 27 years. Posted in Adult Programs, Announcement, Top 10 List.